I generated a word cloud from the tweets generated by key traders (Philippine market) and finance people in the Philippines for the whole month of August. I have not done any other analysis on the collected data (yet), but in the word cloud, you can already see company names popping up. As always, the issue is context. Isn’t it interesting to see the word “top” in the cloud? 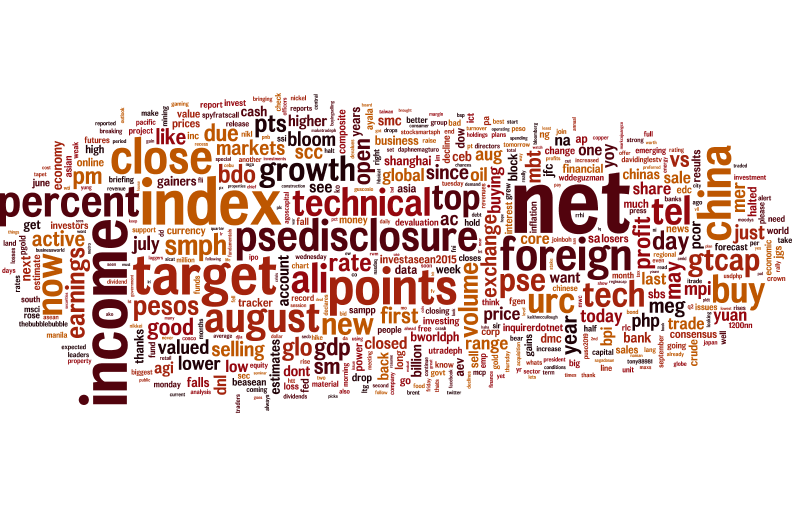 This entry was posted on September 1, 2015 by E in Stock Trading and tagged PSE, Twitter, Word Cloud.